Last hour to enjoy Friends & Family Deal from Fossil! 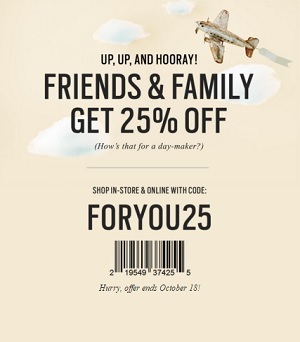 Print a special sale coupon, bring it to you nearest Fossil store in the United States and take 25% off your purchase. Hurry up, ends today (10/18/2015)! Source of the information is Fossil. More details available at Fossil stores.